Immigration and Nationality Law - Scott D. Devore, P.A. SCOTT D. DEVORE is a Florida Bar Board Certified attorney specializing in Immigration and Nationality Law. 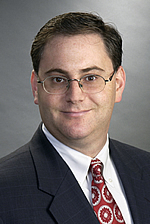 He is the managing shareholder of the law firm Scott D. Devore, P.A., located in Palm Beach Gardens, Florida. Scott is a 1992 graduate of the University of Maryland at College Park and a 1996 graduate of The Thomas M. Cooley Law School in Lansing, Michigan. Although the firm is based in South Florida, Scott Devore represents foreign nationals before the Department of Homeland Security, (USCIS, USICE, USCPB) and the Department of Justice (EOIR) on a national level. As such, he is eligible to practice immigration law in all 50 states which allows him to represent clients anywhere in the U.S. This enables Scott to provide extremely personal service to his clients and their families no matter where they reside. Scott Devore is currently one of fifty-five attorneys in the State of Florida who is Board Certified in Immigration and Nationality Law by The Florida Bar. Board certification recognizes an attorney’s special knowledge, skills, proficiency and ethics in practice. Certification is the highest level of evaluation by The Florida Bar based on the competency and experience of attorneys. Scott is also AV rated by Martindale-Hubbell and has been chosen as a Florida Super Lawyer for the years 2007, 2008, 2009 and 2010. Scott Devore specializes in all facets of immigration law including removal and deportation defense, permanent residence (Green Card) through family relationships, employment or long term physical presence, work permits, waivers and citizenship. Scott Devore is an active member of the American Immigration Lawyers Association (AILA) and served as President of the South Florida Chapter in 2007-2008 and a second time in 2009-2010. Currently, he is the Chair of the AILA/USCIS West Palm Beach Liaison Committee and the Division of Motor Vehicles Committee. Previously, Scott Devore was a member of The Florida Bar Immigration and Nationality Law Certification Committee from 2004 through 2007, serving as its Chair during 2006. Scott has been recognized by multiple Florida courts as an expert in immigration law often testifying as to the immigration consequences of a criminal conviction for a foreign national. Scott has also lectured to the American Immigration Lawyers Association both locally and at its national conference as well as the Palm Beach County State Attorney’s Office. Scott has twice been honored with the Immigration Award by the Legal Aid Society of Palm Beach County, in recognition of outstanding pro bono service to the community. Scott Devore is a member of The Florida Bar, the United States Supreme Court, United States Court of Appeals for the 11th Circuit and the United States District Court for the Southern District of Florida. He is also a member of the Palm Beach County and Martin County Bar Associations. © 2011 Devore Legal. All Rights Reserved. Website by QuinnCom.